Your new company are based in Ballina Co.Tipperary and market leading supplier across the Healthcare and Biotechnology sectors. You will be part of the development team responsible for delivering client specific projects. Working within the company's SDLC and participating in all phases from technical specification through to acceptance testing. Working in an agile environment you will deliver high performing software solutions continuously directly to clients. You will need a relevant IT degree as well as previous professional development experience. Strong experience in either Java or .Net as well as frontend experience, ideally in Angular OR React as well as SQL experience. You will get a competitive salary in this start up environment with a growing team and great opportunities for progression. 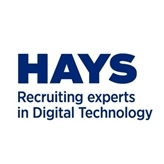 We are a leading digital technology recruiter, with hundreds of specialist consultants across Canada, the US, Australia, New Zealand, the UK, Ireland, Germany, Austria and Switzerland. Our experienced and knowledgeable global team recruit across the entire development lifecycle, from design and build, to deployment and optimisation, and each consultant is dedicated to recruiting for specific technologies, skill sets and sectors. Over the years, we have developed long-lasting trusted relationships with hundreds of employers across both the public and private sectors, from big multinationals to emerging start-ups. We are extremely proud to be an Official Strategic Partner of Stack Overflow, allowing us to provide relevant job opportunities and helpful advice to help you succeed in your developer career.